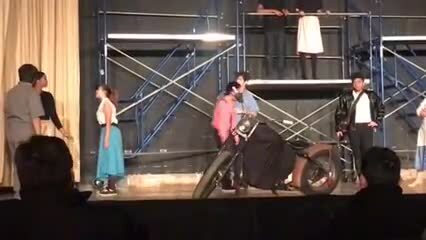 Here is a short clip from our Drama Musical All Shook Up. Enjoy! Here is another short clip from the Kelly Drama Musical, All Shook Up. Ms. Zamora and Ms. Buchic did a cross curriculum Assignment for the Hamilton Project. Drama 3 Students wrote the script, were the actors, designed the costumes, set, lighting, sound and filmed it in The Black Box (351) with the guidance of Ms. Buchic. All elements needed to be historically accurate, which they learned in Ms. Zamora's class, and creative. This is the final product.